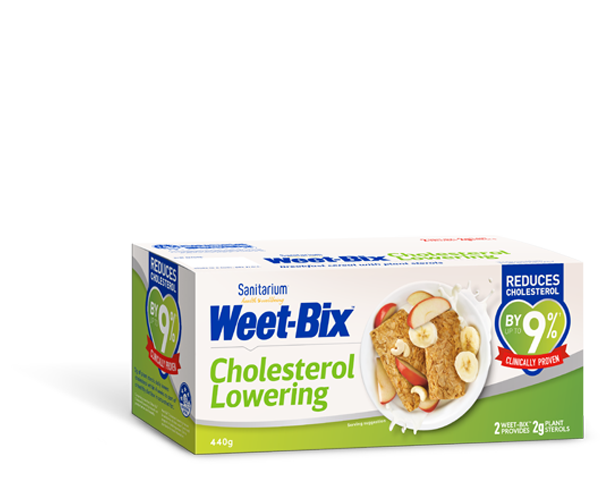 Full of the wholesome goodness of gluten free Weet-Bix and as versatile as it is delicious. In a large bowl combine Gluten Free Weet-Bix, flour, baking powder, salt and chocolate chips. Cream margarine and sugar together, then add bananas, egg and So Good Lite soy milk. Add to dry ingredients, blending well. Place in a lightly greased loaf tin. Bake for 30-40 minutes, or until skewer inserted in middle of loaf comes out clean. Cool. Slice and serve on its own or toast and serve with yoghurt. *If dairy free choc chips are not available, substitute with sultanas or walnuts.